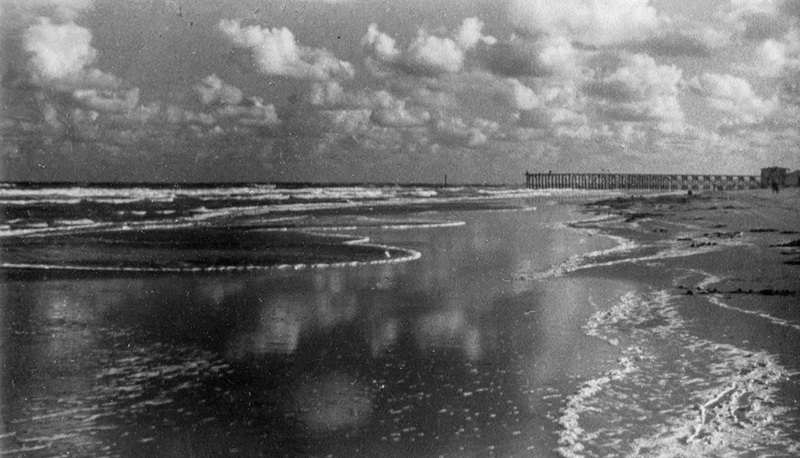 The March 21st, 1913 issue of pioneering magazine Fray Mocho commented, with luxurious detail, the creation of Ostende, a fabulous seaside resort on the Atlantic. 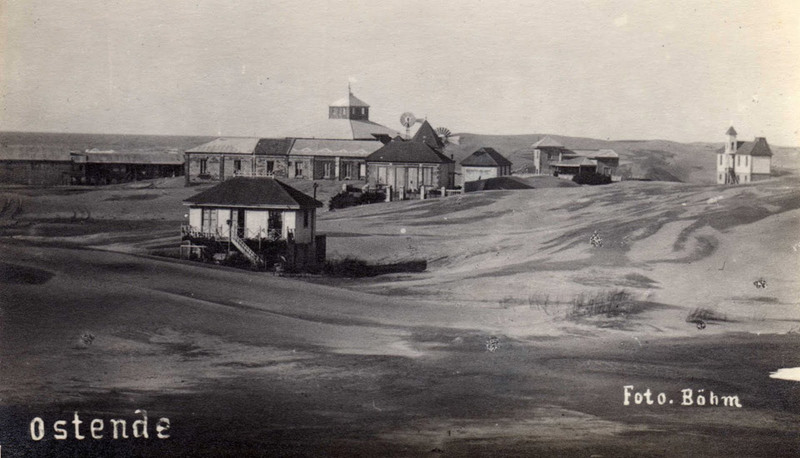 A few days later, on April 6th, 1913, the resort town was officially founded before an audience of hundreds, attracted by the advertisements inviting them to come see the magnificent endeavour. 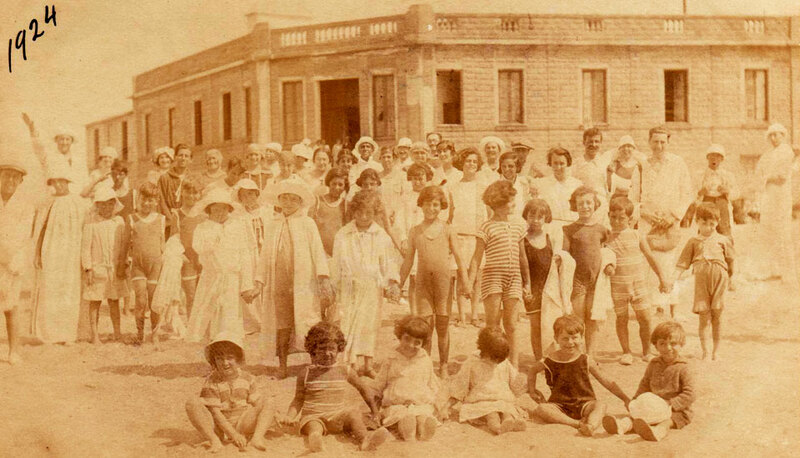 Since then, Ostende has been a privileged place and has become a favorite for many Argentineans. This story has its roots in the late 19th century. At the time, the area belonged to Martín de Álzaga, who was married to Felicitas Guerrero, a young woman of legendary beauty from a prestigious Buenos Aires family. With the death of her husband in 1870, Felicitas inherited his lands which included the estancias of Bella Vista, La Postrera and Laguna de Juancho. But she herself died two years later, the victim of a crime of passion. 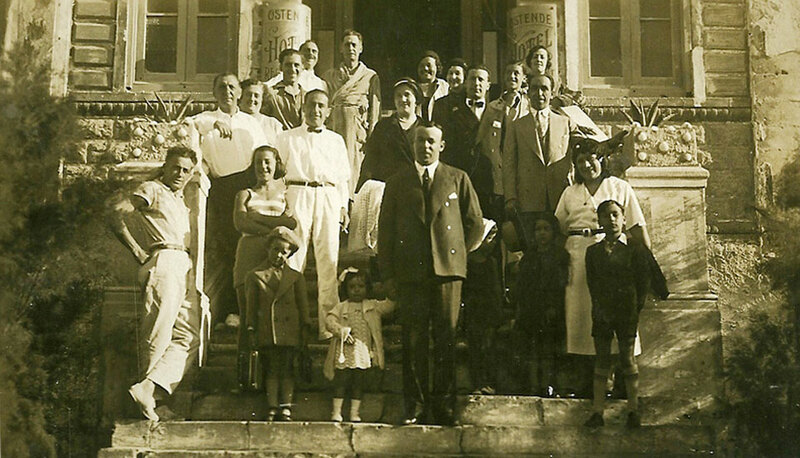 Since she had no children, the lands became property of her father, Carlos Guerrero, and after the death of both him and his wife, Felicitas Cueto, the couple’s seven children inherited the estates. 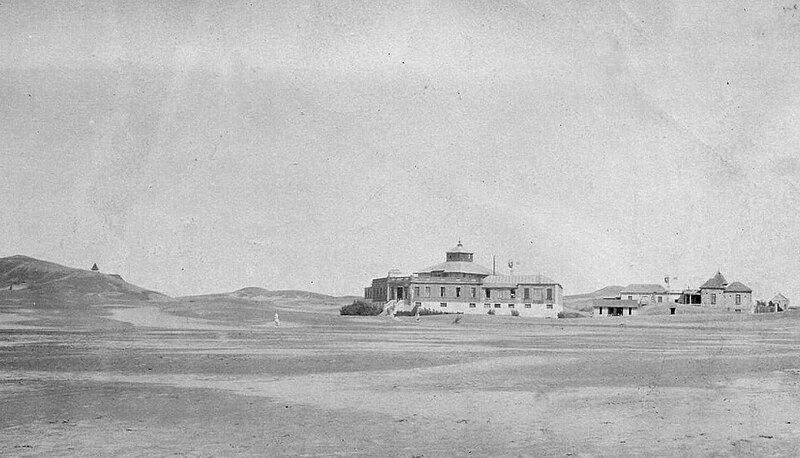 With the partition of lands in 1886, the 25 km of beaches and dunes were split among four estancias owned by Manuel and Enrique Guerrero, and soon after, the lands became property of José Guerrero. 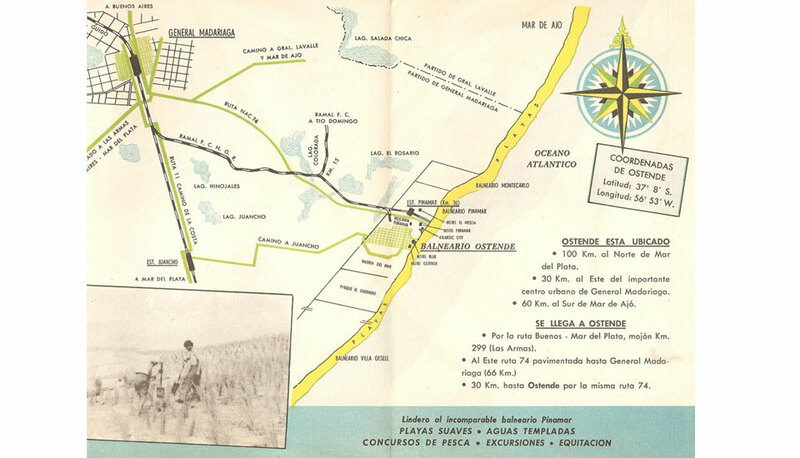 The Ferrocarril del Sud, or Southern Railway, opened a station within the estate of José Guerrero some 29 km from the shore. The area was then known as Montes Grandes de Juancho, and inhabited solely by extensive, restless dunes. 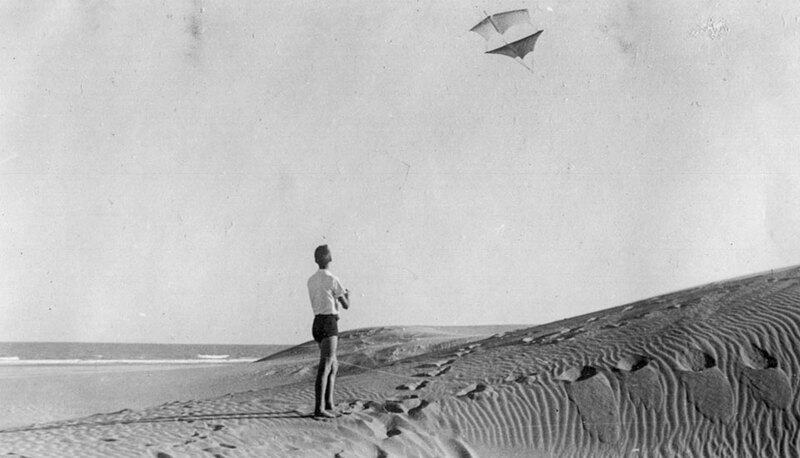 The proximity of a means of transportation fostered the touristic development of the area, and two pioneers, Belgian Ferdinand Robette and Italian Agustín Poli, decided to purchase a fraction of 14 km2 of dunes. 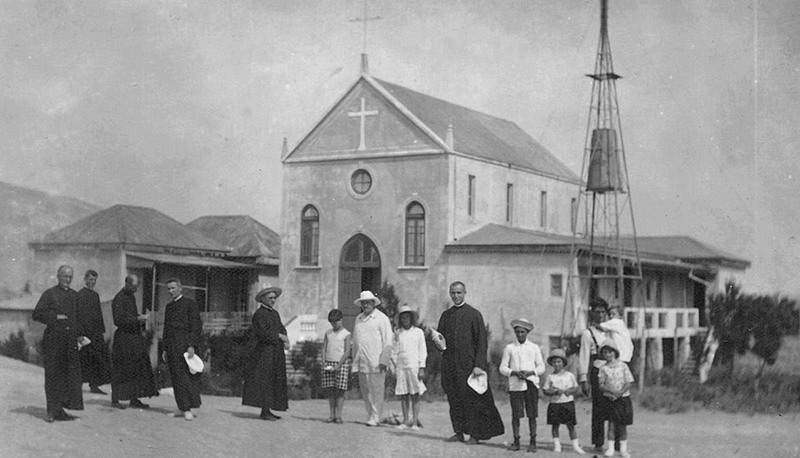 In 1909, a Belgian company managed by Robette takes on the ambitious project, employing Japanese workers living a kilometer away at the outpost of Colonia Tokio. The homesick Belgians named the place Ostende, after the North Sea resort town. Their aim was to develop an urban project similar to the European equivalents. The austere but elegant urbanization had a unique design that included a 50-meters-wide central avenue, a hemicycle and a boardwalk with pillars and balustrade, which was left unfinished, its pinnacles now rising out of the sand. 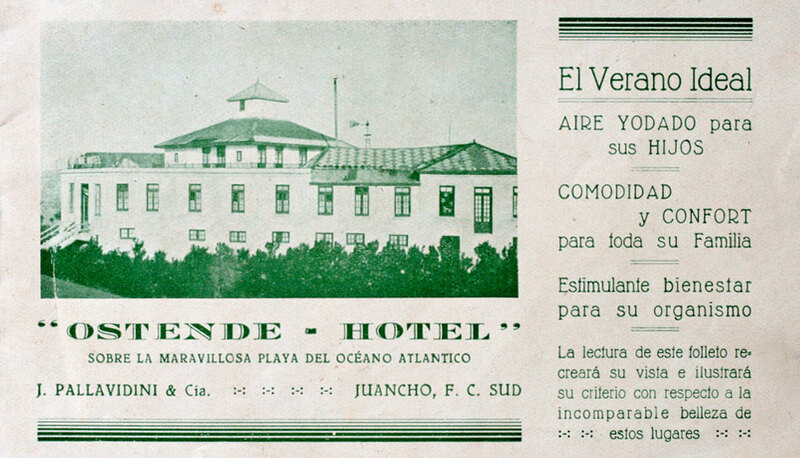 The original project already planned for a hotel with over 80 rooms called Termas, which would later become the Viejo Hotel Ostende. 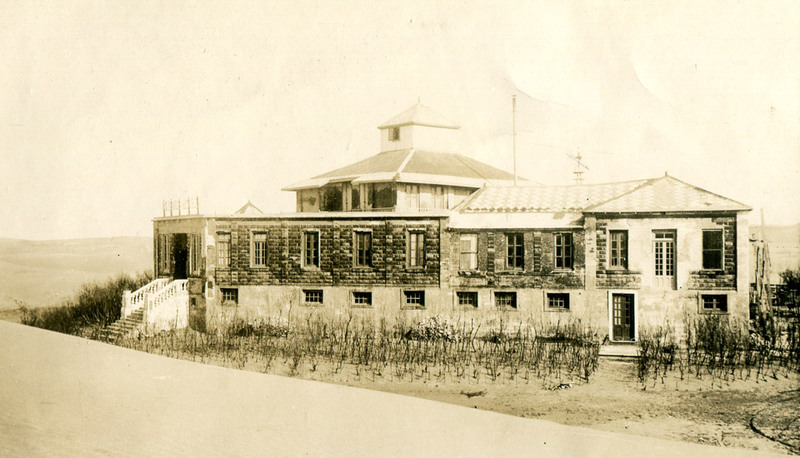 Construction began in 1913, including ample halls and rooms for games, reading and fencing, a pasta factory and bakery, restaurants and winter gardens. Arriving at the hotel was part of the adventure. A train leaving from Buenos Aires’ Constitución station led up to Juancho station. The journey proceeded in carriages up to Colonia Tokio, where the dunes began and passengers were transferred to a small train with mobile rails (a decauville) which took them to their final destination. 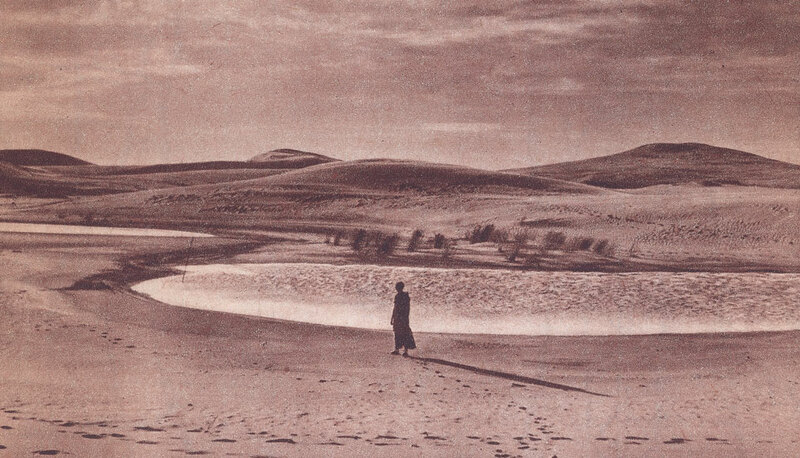 However, the indomitable nature of dunes complicated the fulfillment of the dream. A forestation plan began but its success didn’t last long and soon several buildings ended up buried under the sand. Finally, the company abandoned the project. 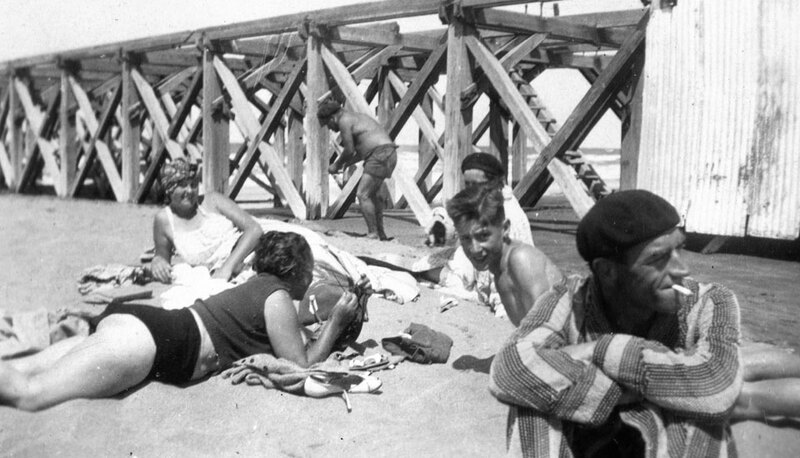 As witnesses remained the two pillars of the old boardwalk, close to the present Hostería Rambla; the house of Ferdinad Robette, Ostende’s founder (today Casa Fasel); Villa Soldaini, a house for spiritual retreat used by Salesian monks, and the most important construction of all: Viejo Hotel Ostende. 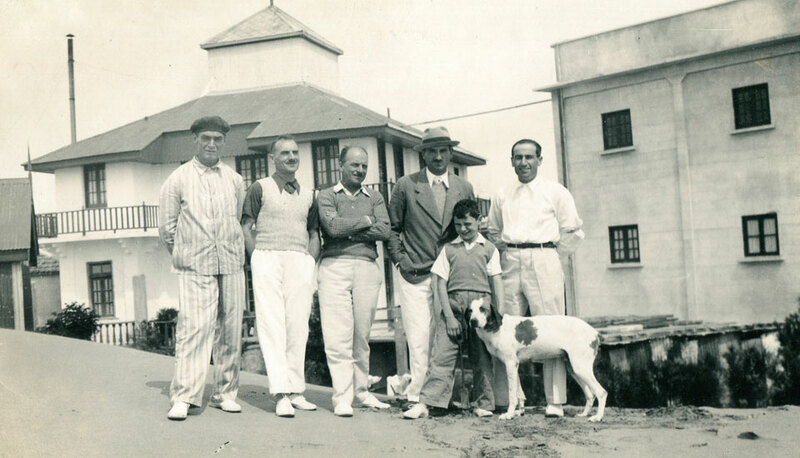 Don Carlos Gesell used to tell that in 1931, when he first arrived at Ostende, he had to access the first floor of the building through an improvised wooden walkway, for the sand completely blocked the ground floor, although the hotel was still functioning. The chronicles of visitors tell about how many times they had to get in or out through the windows, which added a touch of fun, especially for children. VHO has always been linked to literature, and is regularly visited by writers and readers who find both the necessary calm and exact doses of mystery to be carried along. 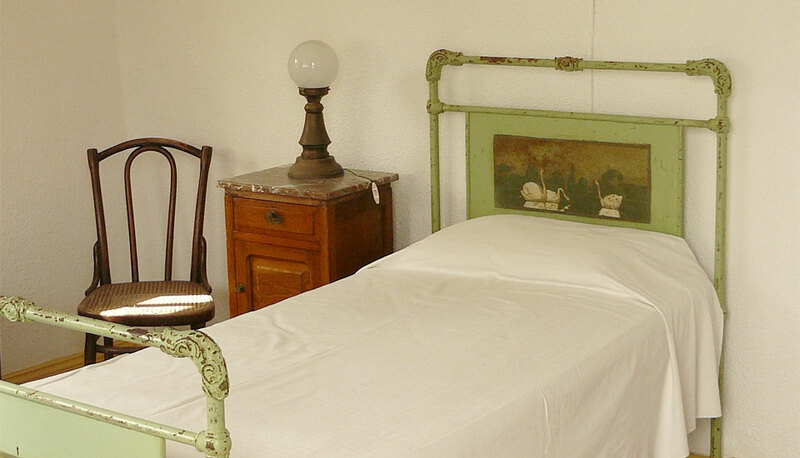 We keep the room in which the French writer Antoine de Saint Exupery stayed at. 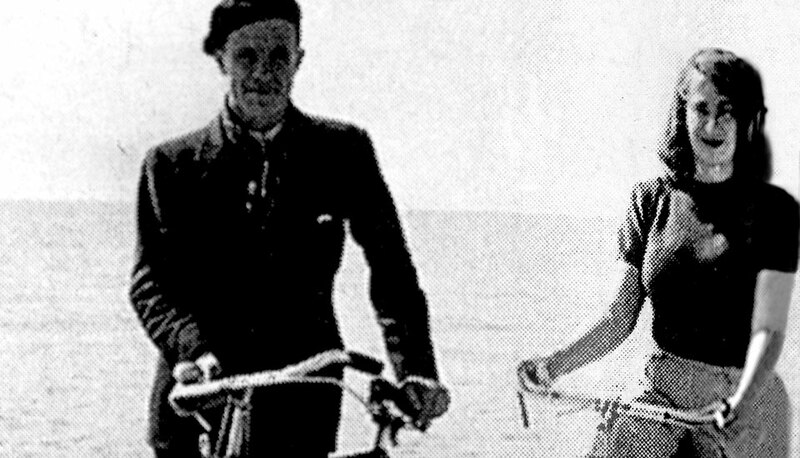 The author of The little Prince stayed at VHO during two consecutive summers in the early 20th century, and the room can be visited in the first floor. 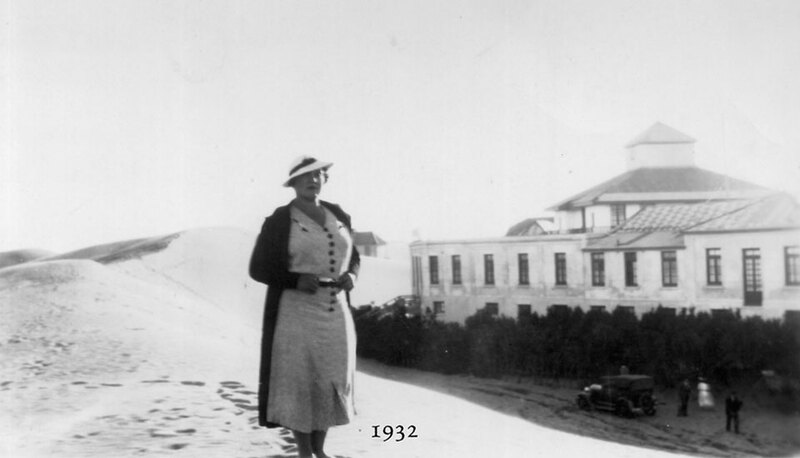 Argentine writers Adolfo Bioy Casares and Silvina Ocampo knew the hotel in the 1940s, and were inspired by these surroundings to write the noir novel Los que aman, odian, in which the hotel appears like a ghostly figure among the dunes, fuelling all kind of fantasies. 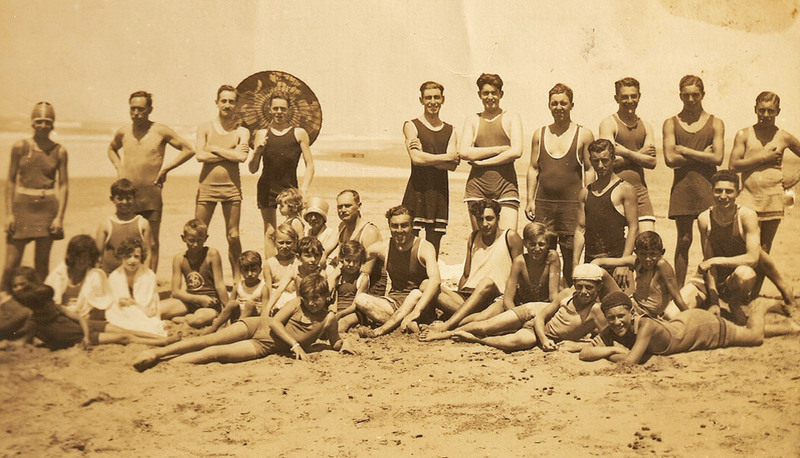 Travelers who have enjoyed their summers at VHO also have fantastic stories to tell. The hotel regularly receives letters, souvenirs and gratitude demonstrations from those who have spent unforgettable moments here. A man, for example, tells us that he was born in the hotel the same day when a whale was stranded in the beach (the animal’s jaw is exhibited in a gallery in the first floor). 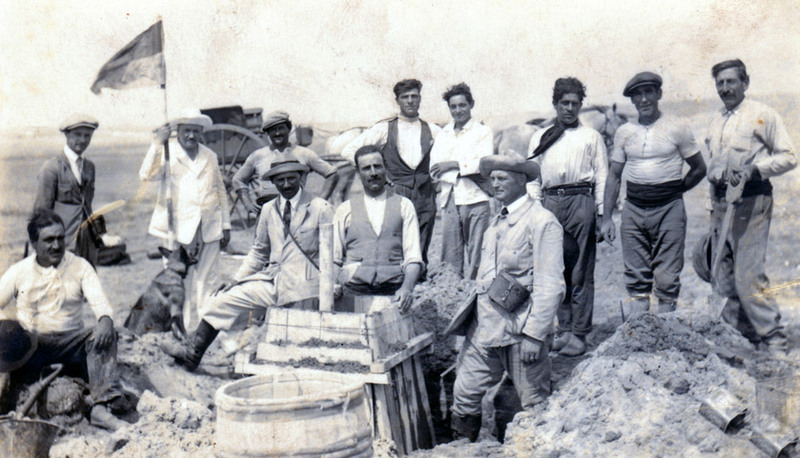 A pioneer, son of one of the construction workers of the building, records that his sister was the first woman born in the hotel and that she was about to be named Ostendina. A lady who was a hotel guest in the 1930s remembers a couple who would seat at the restaurant table with their dog and demand the staff to serve the dog´s food in the hotel´s dishes just like any other guest. These and other anecdotes helped designing our Hotel´s profile, that not only preserves its original flavor but also keeps growing in style, tradition and a permanent aim for renovation. By crossing through its doors, one finds it easy to travel through time, get lost in the past, and come back to the present to enjoy the shade of the patio next to the pool, with the exact dose of nostalgia.